The new GPSMAP 1042xsv and 1242xsv are a great solution for those boaters who prefer a full button or keyed unit, but don't want to lose out on the technology that the touch screen displays have to offer. Available in a 10" and 12" screen size these units are packed with everything you need to make it to you destination. It doesn't matter if your just going for a cruise or after that trophy fish this unit can get you there. **Note, the 1242XSV is also offered in a Touch Screen version. 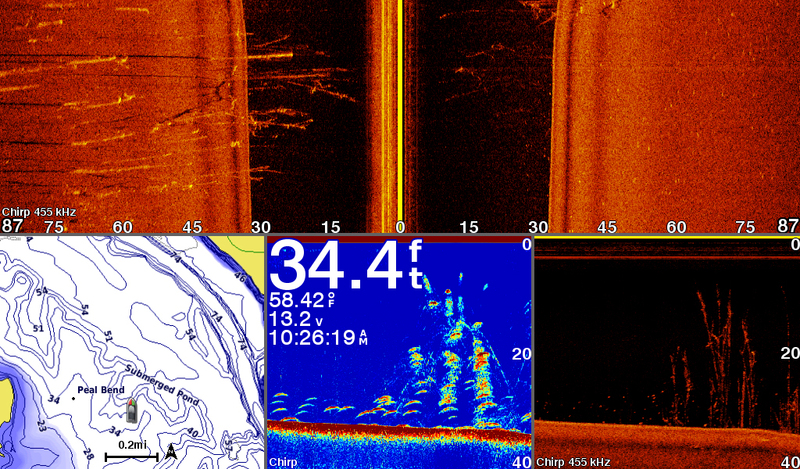 The 1kw CHIRP sonar is a great tool for fishermen near and offshore. 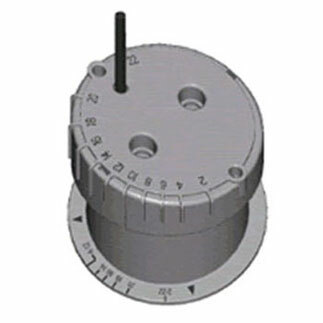 In addition to this 1kw built in sounder this unit also comes ready for your ClearVu and SideVu transducer. If you thought that was all then you'll be pleased to know that we can also pug in our Panoptix transducer and any of Garmin's premium sounder modules for an even wider selection of transducers. 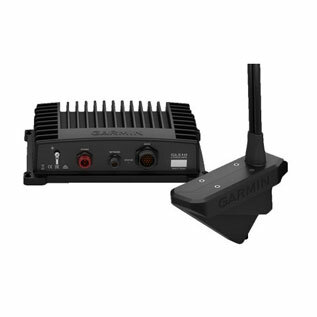 Although this unit does not include a transducer in the box it is plug and play ready for that Garmin transducer that fits your application specifically. These units will come with built in lake and bluewater charts. Its preloaded with LakeVu and Bluechart G2 charting for coverage almost anywhere in or around the US. This will include 17000+ lakes, rivers, and reservoirs along with tidal stations and plenty of coverage offshore. If your seeking the highest level of chart detail for your area then of course there is always the option to upgrade to the Lakevu Ultra HD or G2 Vision card to get the best possible coverage. 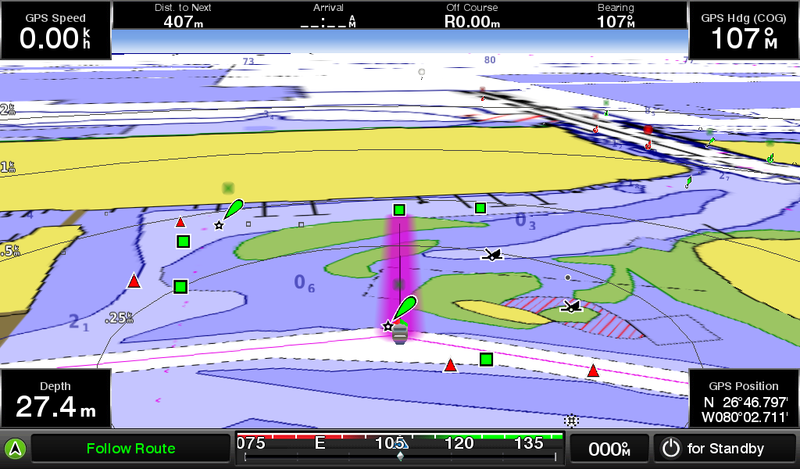 If you run your vessel in an area where coverage may not be as detailed or if your looking to see the little bump and dips in contour then we also have the ability to use Garmin's QuickDraw software to make our own charts with up to 1 foot contours. Once we have all the Quickdraw data we need we have the option to share this data with out friends and the rest of the fishing community. 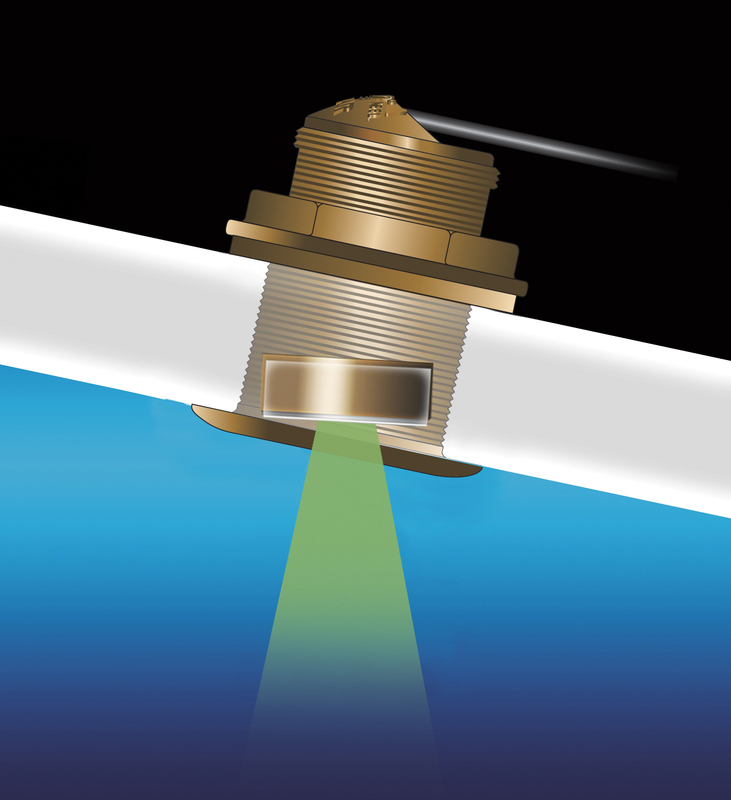 With the built in NMEA2000 and NMEA0183 connectivity we can share NMEA data to other units and connect to some of the best sensors and accessories available. There is also built in Ethernet connectivity as well. 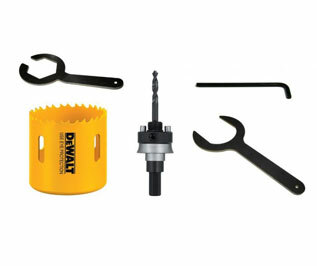 This Ethernet allows us to us some great devices such as radar, sounder modules, IP cameras, and Panoptix transducers. With these awesome devices we can also use the Ethernet to share our devices to other Garmin compatible units. 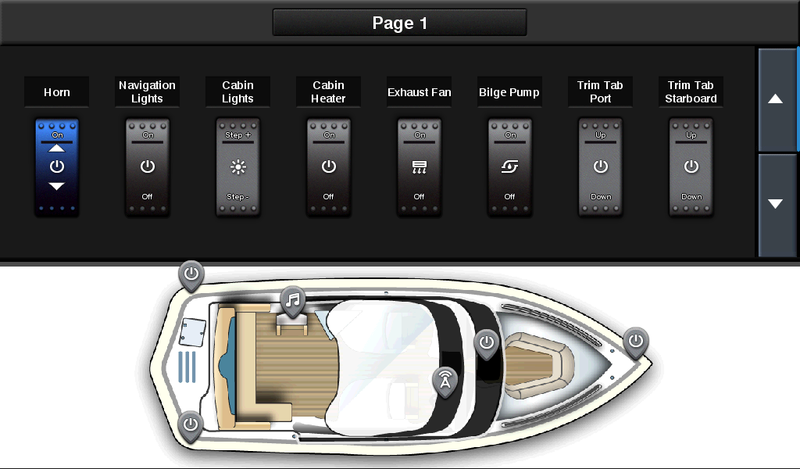 This includes sharing Satellite weather and radio along with sonar, VHF, and pretty much any other Garmin device you can connect to these units. With Gamins built in WiFi the option to connect your personal devices such as tablets, Ipads, and Iphones is now available. 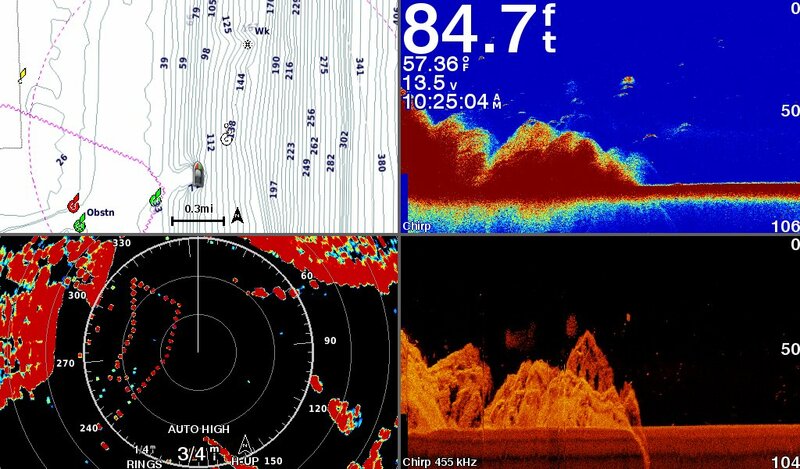 These devices have the ability to run BlueChart Mobile and the Garmin Helm App allowing us to upload charting data and routes as well as controlling the MFD through and device with the Garmin Helm App installed. ANT connectivity allows us to connect to Quatix watches Gwind Wireless wind sensors, and wireless remotes. These units will come with a built in 10Hz GPS antenna that will refreshes 10 times a second and allows up to 5000 waypoints to be stored and navigated to at any given time. This refresh rate lets us pin point locations and drop a waypoint on them with precise accuracy.